TV in the United Kingdom encompasses general and localised content from England, Scotland, Wales, Northern Ireland, and their surrounding islands, with a long-standing history in broadcasting lead by the BBC, one of the oldest television providers in the world. The main channel of the BBC (BBC One) is arguably the most prominent ratings leader in the UK, with their main challengers being commercial station ITV1. BBC2, Channel 4, and Channel Five round out the five analogue terrestrial channels, although an in-progress digital switchover means that a more expansive free-to-air line-up is found on digital terrestrial services. The pay TV market features online and cable challengers such as Virgin Media, but the most popular pay-TV services by far are provided by satellite juggernaut Sky, who have recently been at the forefront of implementing technologies such as HD and 3D. 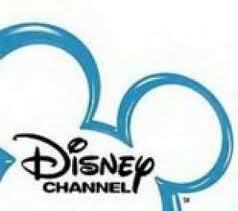 Watch clips and full length Disney shows.